FOR ALL OF MY VERY DEVOTED AND FAITHFUL BLOG READERS THROUGHOUT JAPAN WITH ALL MY LOVE !! To All Of You!! Hello Everyone!! I hope all of you are ready. This Blog is yours. Are you ready to celebrate? Halloween is HERE! Enjoy your Happy Time. Happy Reading. Anyway, my lady friend and I were talking the other evening and she insisted that Halloween was just for the children. I could see her point I guess but I said, Excuse me? What did you say? She again insisted that Halloween Night was just for the children. OH MY! So very sorry! I disagree. I do not know how YOU feel, My Dear Readers but, even though Halloween IS all about the children and candy and all that, I now, still disagree. HALLOWEEN IS NO LONGER JUST FOR THE CHILDREN. And while I am sitting here drinking my Kona Coffee and writing this, I will tell you why. I do not know if you realize it or not, but the fact is My Readers, — look around you — Halloween is NO LONGER JUST a night for the Children. So very sorry, but it is true. Oh it is a night for children. But it is no longer JUST for them alone. And yet, still, look around some more. Halloween is HERE and believe it or not, your dear little ones have been secretly helping you plan YOUR Big Scary Night for weeks now. 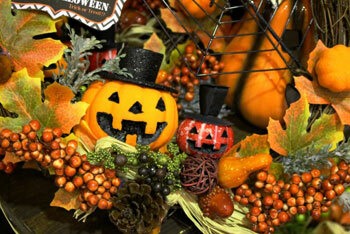 Perhaps it began when the first Halloween decorations and cards came out in your stores. Or maybe your little Sweet Ones started giving you all little HINTS — such as — that a friend of theirs is having a party that night—can I go? (This could apply to young teenagers especially if they add that the parents where the party is being held WILL be home.). Or your little ones might mention that there is an early Halloween get together just before Trick Or Treat saying they got an invitation and can you call the Mom? Is it okay? Or maybe it is a Class Party at their Teachers House. Everyone in my class is invited and everyone is going. Can I go too? Daddy or rather, Papa-san, could drive me there…….please? And then we can go for Trick Or Treat. And if you let me go, I PROMISE, I’ll bring home PLENTY of Halloween CANDY to SHARE!! My Dear Readers!! Are you still wondering at this point where I, your Mary Ann-san, got the idea to tell you all that Halloween Night is NOT JUST for children anymore? Come! Come, My Dear Readers, and look! First of all, have you seen the costumes? There are costumes for adults to dress up in and party in and have a great time in. Adult costumes for Halloween (or Mardi-Gras?). Even local places here like Wal-Mart have some adult costumes too. And then of course, you CAN make your own. And yes, as for myself, yes, I, your Mary Ann-san, have dressed up for Halloween Night to give out THE CANDY. I have dressed up mostly as some kind of CAT because cats are my thing. (In fact did you know they have Halloween costumes for PETS?). Anyway, I have had fun doing it. I enjoy it. I still do and always will. My candy right now is in my freezer waiting. I am ready. Invite your OWN friends over for Halloween Night! Your children have been helping you plan it for long enough. It is time for YOU to dress up and enjoy the night as well. You deserve it. And you can be anyone or any THING you want! HAPPY HALLOWEEN EVERYONE! HAVE A GREAT NIGHT!